With 1 in 4 adults suffering from acid reflux, it seems sensible to ask whether it's a minor inconvenience or a more serious problem. Let’s take a look at this condition and explore what you can do to reduce your symptoms. Acid reflux, also known as gastroesophageal reflux disease (GERD), occurs when the contents of the stomach pass into the esophagus and cause inflammation. For many people, it causes mild but unpleasant symptoms of heartburn, regurgitation, and trouble swallowing, but if left untreated, it can increase the risk of stomach cancer. A 2014 literature review in the journal Gut looked at studies of the incidence of acid reflux in several countries. In adults, the estimated rate was 18.1 to 27.8 percent in North America, and it is on the rise. North America and Middle East have the highest rates in the world, with East Asia having the lowest rates (2.5 to 7.8 percent)—statistics that hint at a connection between reflux, obesity, and diet. Before we explore why people get acid reflux, let’s consider for a moment the anatomy of the gut. From the mouth, food passes into the esophagus, the muscular tube inside the chest. The esophagus pushes the food down toward the stomach. The esophagus meets the stomach at the esophagogastric junction, situated in the gap in the diaphragm (the muscular shelf that separates the thorax from the abdomen). At the junction is a circular band of muscle known as the lower esophageal sphincter (LES). The LES acts like a valve, opening when food is in the esophagus and closing when the food has passed into the stomach. 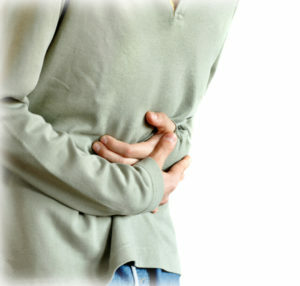 The stomach acts like a reservoir for food, which mixes with acidic gastric juice to start digestion. It is normal for a small amount of gastric contents to occasionally enter the esophagus; your body can compensate. When excessive stomach contents enter the esophagus, it’s called acid reflux. It can occur when there is poor esophageal motility (peristalsis), dysfunction of the lower esophageal sphincter (LES), delayed gastric emptying, and/or raised abdominal pressure. One cause of extreme dysfunction in the LES is a condition known as hiatus hernia, where part of the stomach bulges through the diaphragm into the chest. Obesity is a major risk factor for acid reflux, in part because it raises abdominal pressure. The Western diet can wreak havoc on our digestion. When it comes to acid reflux, foods to avoid include coffee, alcohol, chocolate, acidic foods, peppermint, fatty meals; all are problematic because they cause relaxation of the LES. Medications including beta-agonists, nitrates, calcium channel blockers, anticholinergics, hormones (e.g., progesterone) can worsen reflux. Nicotine products including cigarettes, gum and e-cigarettes. While acid reflux affects men and women equally, complications are more common in men. Acid reflux, in some 70 percent of people, presents with “typical symptoms” of heartburn, a feeling of food coming back up (regurgitation), and pain or difficultly swallowing (dysphagia). The remaining 30 percent report more unusual symptoms, including coughing and/or wheezing, sore throat, feeling like something is stuck in throat, ear infections, chest pain, and erosion of dental enamel. Blood tests and stool samples. H. Pylori blood or breath test. Endoscopic examination: To visualize the esophagus, stomach and beyond and take biopsies if needed. Esophageal manometry: To measure the pressure in the esophagus and LES. Ambulatory 24-hour pH monitoring: To measure acidity in the esophagus. Upper gastrointestinal tract radiography (barium meal): To monitor the movement of esophageal and stomach contents. Esophagitis is inflammation of the esophagus, and is seen in 50 percent of people with acid reflux. It begins with redness of the esophageal lining, but over time ulcers may form. Stricture is seen in advances esophagitis, they occur when chronic inflammation results in the formation of a dense fibrous ring. This leads to difficulty swallowing and shortening of the esophagus. Surgery may be needed. Barrett esophagus develops in 8-15% of those with chronic reflux. It represents a precancerous change in the esophagus, which increases the risk of cancer by 30 to 40 percent. Esophageal cancer may develop, of which 50 percent are adenocarcinoma. Experts at The National Institute of Diabetes and Digestive and Kidney Diseases (NIDDK) explain that the aim of treatment of acid reflux is to control symptoms, heal inflammation and prevent complications. Avoid potential trigger foods that might include chocolate, citrus juice, tomato-based products, coffee, and onions. Peppermint, even though many believe it soothes an upset stomach, is actually a heartburn trigger. Keep a food-and-symptom diary to attempt to spot patterns. Cut down on caffeine and alcohol. Many people swear by teas containing ginger, licorice and fennel, as natural remedies for acid reflux. Try the FODMAP diet, especially if you experience bloating. Don’t lie down until at least three hours after food. Wear loose-fitting clothing, not too tight around the tummy. Avoid bending or stooping if it causes symptoms. It can take up to three months to feel the full benefits of lifestyle change, so be consistent and patient, and keep track of your symptoms. STEP 2. Acid reflux medicine. The aim of medication is to reduce the acid levels in the stomach and improve gastric emptying. Medications include H2 receptor antagonists (like ranitidine and cimetidine), proton pump inhibitors (like omeprazole and lansoprazole), and antacids (like aluminum hydroxide and magnesium hydroxide). There are concerns about the long-term use of these medications, so avoid taking for more than a couple of weeks without talking to your doctor. STEP 3. Surgery. Surgery aims to improve the function of the LES and is usually a last resort for people with medication-resistant disease and those with serious complications. It may also be considered for younger people, who want a permanent solution. The primary surgery is fundoplication, which can be performed via the chest or abdomen. acid reflux, adenocarcinoma, alcohol, bloating, bowel syndrome, caffeine, calcium, calcium channel blockers, cancer, chest pain, chocolate, chronic inflammation, coffee, diabetes, diet, digestion, digestive, disease gerd, Dysphagia, ear infections, esophageal cancer, fodmap, food, foods to avoid, gallstones, gastritis, gastroenterology, gastroesophageal reflux, gastroesophageal reflux disease, gastroesophageal reflux disease gerd, gastrointestinal, gerd, gerd symptoms, ginger, h pylori, heartburn, infection, inflammation, irritable bowel, irritable bowel syndrome, Lose Weight, magnesium, muscle, natural remedies, natural remedies for, nicotine, nitrates, obesity, omeprazole, pain, peppermint, reflux, report, sore throat, stomach cancer, stomach ulcers, symptoms of gerd, treat acid reflux, treating acid reflux, trouble swallowing, ulcers, western diet, wheezing.